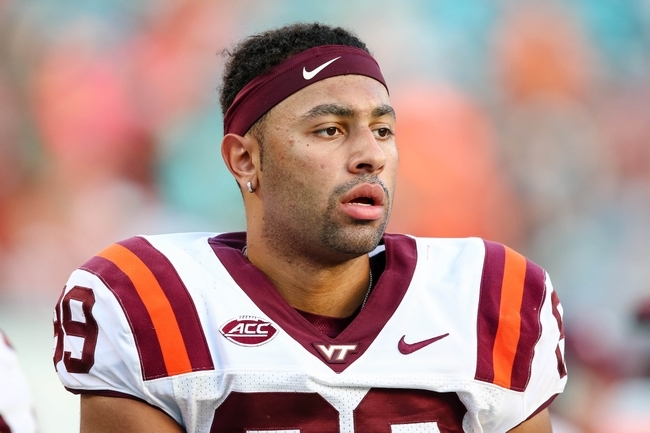 Shirts With Random Triangles: Virginia Tech TE Kalvin Cline Announces Plans To Transfer To Texas A&M. In a post on his Instagram account, Cline said that he "Couldn't be more thankful for my time at Virginia Tech, but that he planned to transfer to Texas A&M for his final two years of ellibility." "Couldn't be more thankful for my time at Virginia Tech. It's been an amazing 3 years and Hokie Nation has a special place in my heart. It was truly an honor to play for a legend like Frank Beamer and I wish nothing but the best for my teammates this up coming season. But after I graduate in May I will be finishing my last 2 years of eligibility at Texas A&M. Can't wait to do big things at College station and see the 12th man light up the stadium! Gig'em Aggies!!" Cline was given a medical redshirt in 2014 following a knee injury. He also dealt with injuries in 2015.